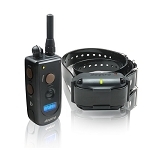 The Dogtra iQ Plus Remote Trainer is one of the smallest, yet most powerful e-collars to be introduced in years. Gently correct your dog with the low to medium output of the Dogtra iQ Plus Remote Trainer. 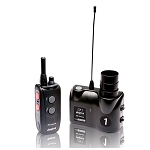 Built to satisfy all of your pet-training needs, this unit boasts an ultra compact water-resistant handheld transmitter and a fully waterproof collar with a range of up to 400 yds. 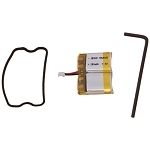 This unit can be made into a two dog system with the purchase of an additional collar. Long-lasting, rapid-charge batteries. The Dogtra iQ-Plus is a powerful pet training designed for small to medium sized dogs. 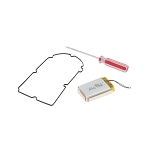 The iQ Plus has three different stimulation types: Nick, Constant, and non-stimulating pager/vibration. Nick is a momentary burst of pre-measured stimulation. You also have the option of giving a constant stimulation for up to eight seconds. The pager functions causes the collar to vibrate without electronic stimulation. In addition to these great features, the Dogtra iQ-Plus e-collar is built for dogs over 10 pounds and is a terrific choice for dogs with mild temperaments. The iQ Plus is a fully expandable training system, allowing you to train 2 dogs using one handheld remote. A 400-yard range provides consistent communication with your dog’s fully waterproof e-collar. 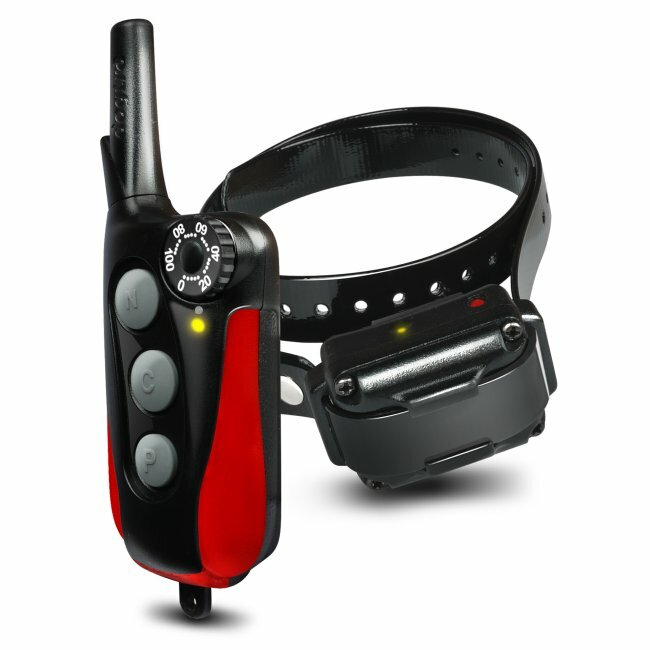 Both the handheld remote and the receiver/collar come with rechargeable Lithium Polymer batteries that are fully charged in 2-hours. The system also comes with a Nick, Constant, and our patented non-stimulating Pager vibration, much like the vibrate feature on cell phones. The iQPlus is the tool that many professionals trust when shaping basic obedience in companion dogs.